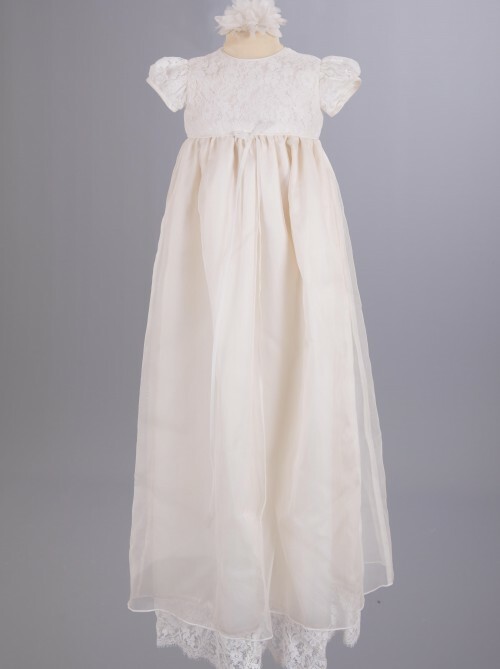 A gorgeous Christening robe with a Cluny Lace bodice and hemline and an organza skirt. Pretty capped sleeves and a satin ribbon bow on the bodice finish this robe off to perfection. Available in ivory or white.